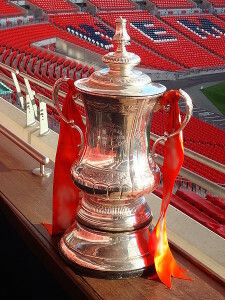 Arsenal take on Everton in their quarter final FA Cup match. Arsenal come in to Saturday’s match on the back of a loss while Everton were able to turn around a recent run of bad form with a win. The return of Romelu Lukaku to Everton’s lineup over the weekend was the deciding factor in a match that looked destined for a 0-0 draw. Arsenal also looked like they were going to be playing a 0-0 at Stoke until Koscielny gave away a penalty and a Stoke City win. Arsenal are favorites to come away as winners, but I don’t think it’s going to be an easy one for them. In their previous six meetings in the Premier League Arsenal have three wins, however, Everton has played out three straight draws. This includes their last two meetings at the Emirates. In the last six home matches for Arsenal against Everton they are unbeaten including three wins. This is a match that could easily go either way, but my pick is a low scoring draw. Arsenal are at the point of the season where the pressure is piling up, and they have not been handling it very well. Everton should have Lukaku available to start, which should be a massive factor for them. His size and ability will certainly cause Arsenal’s back line a lot of problems.